I’ve put together this demo for my GDPW100 class to read through step-by-step instructions on how to mount, trim and fold a presentation folder for submission. The first step is obviously to print your presentation folder using the tiling function, within Ai’s print options. Your presentation folder will be 18” x 12” when opened flat so, that means you will need to print both the left and right sides of your folder separately. 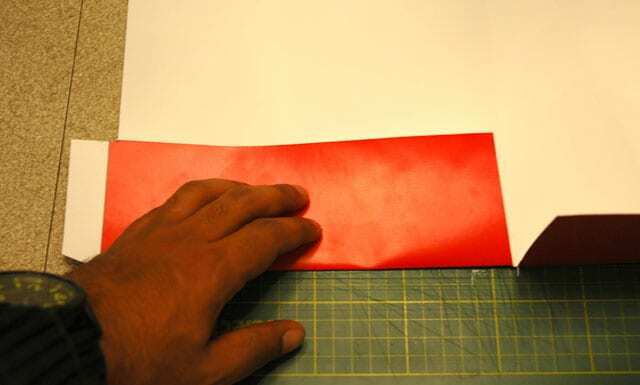 Make sure to leave enough room to overlap each side along the spine of the folder so that you can glue and seam the two sides together. 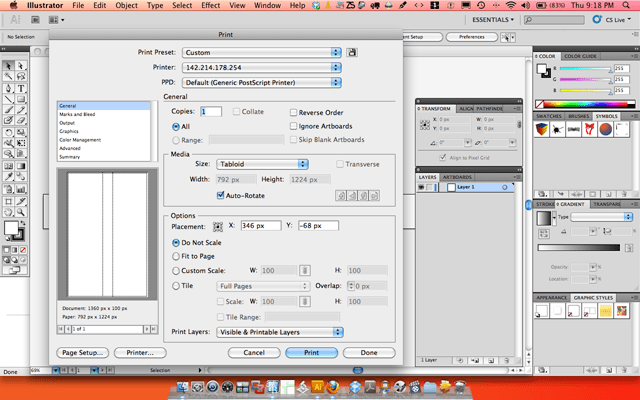 When printing, turn the bleed and instructions layers off within the template file. The only layers that should remain turned on are your artwork layer and the crop marks layer. 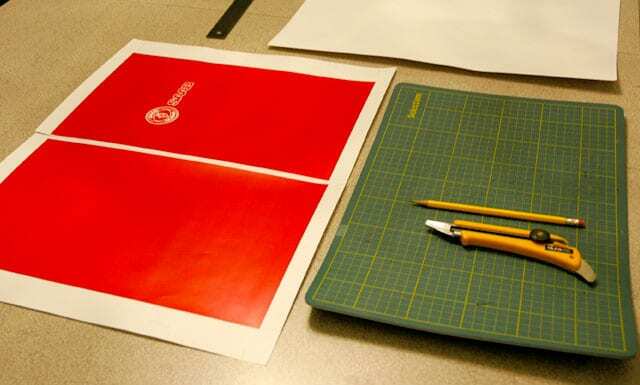 When positioning each side of your folder to print, ensure that you print each sides crop marks. It’s OK if the center overlaps. You can cut off the excess before you seam the two sides together. 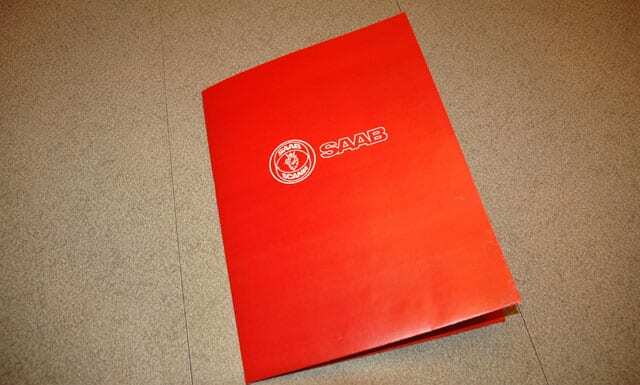 I actually bonded the two sheets together on the mayfair paper first so that I will only need to trim the folder once instead of twice at the end. 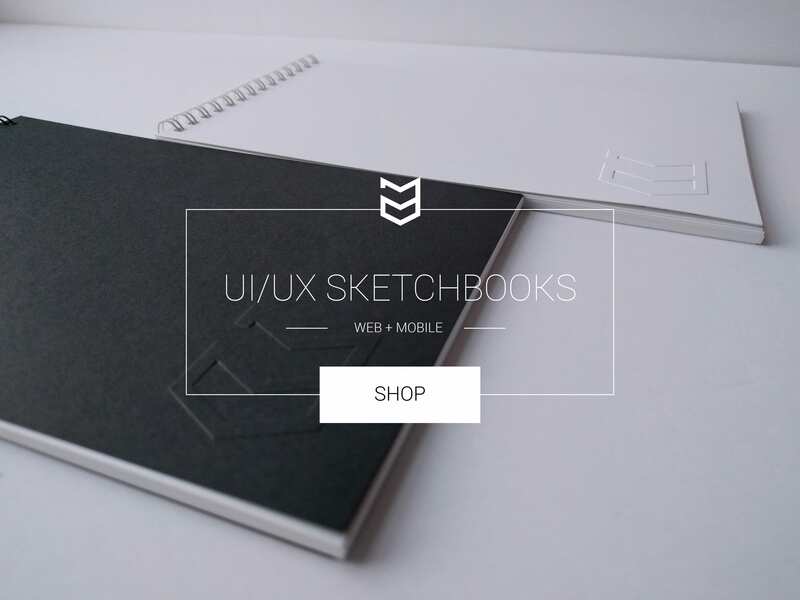 *Remember to overlap the two prints along the spine of the folder so that the seam is not visible. Step #3: Trimming the folder. Now, I’ll start to trim around the crop marks that indicate where my glue flaps for the inner folds are. It is very important not to cut these off as you will need them to glue the inner folds to the inside panel of the folder. 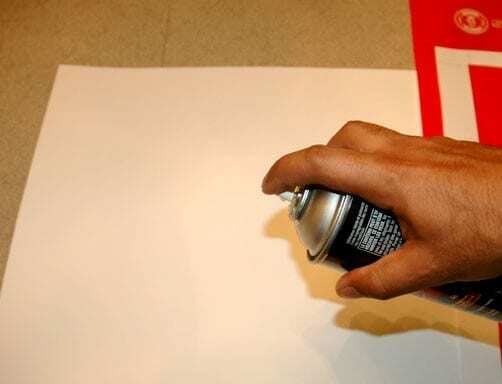 *Remember not to print any ink on the glue flaps as they will not bond well when you apply adhesive to it. The next part that I will trim around is the center-fold line at the bottom of the spine. You will see two angled crop marks near the center-bottom of the presentation folder. 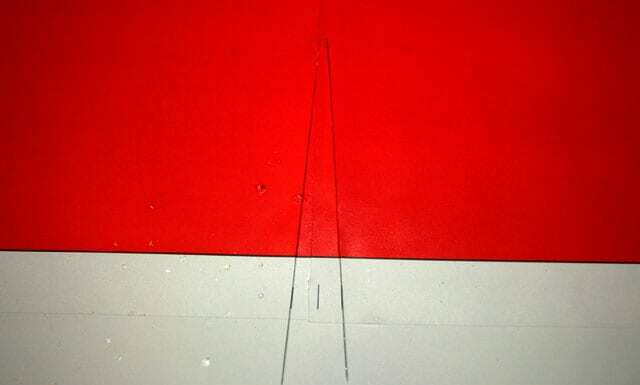 You will trim these on an angle to ensure that the folder will fold properly along the spine. Place your ruler along the crop lines and trim along until both cut lines intersect. 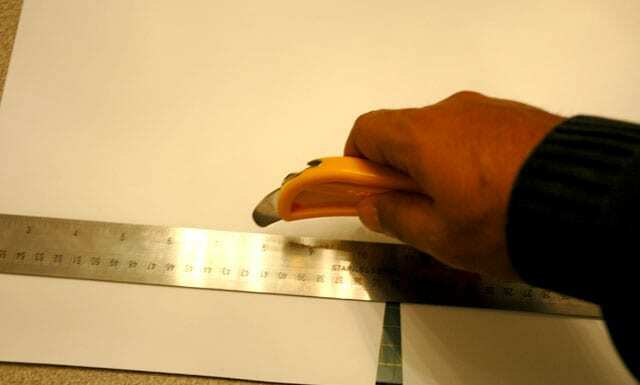 You can also use your ruler to draw a guideline along the top of the inner fold. This will give you an idea of where you should stop cutting with your knife. Continue to trim around the remaining areas of the folder. Try not to cut off your crop marks while doing so. It happens to most students. So, buying an extra sheet of mayfair paper may come in handy. *After you have trimmed the entire folder, lift the folder from one edge until it is removed from the template. 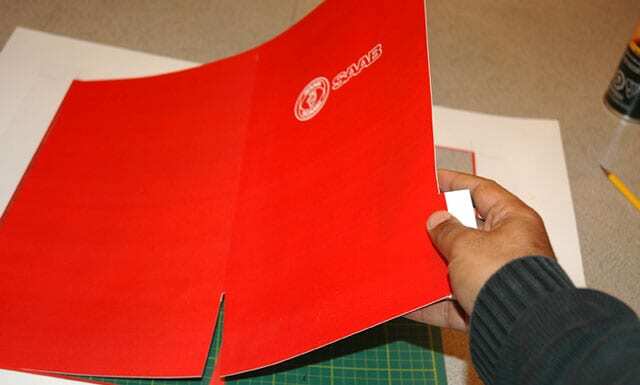 Now that you have the folder trimmed, you will need to make scores along all the fold lines. This will prevent cracking and will make folding easier. The edge of my knife has a score at the end of it but you can use the reverse end of a kitchen knife if you don’t have a score. Place your ruler along the fold lines and run your score along the edge of the ruler. 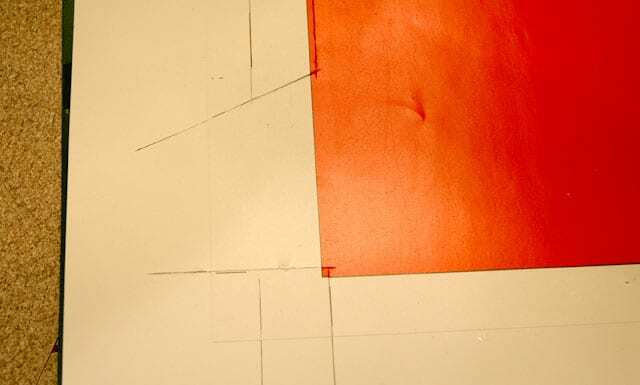 Continue to score the fold lines for the glue flap, inner fold and spine. 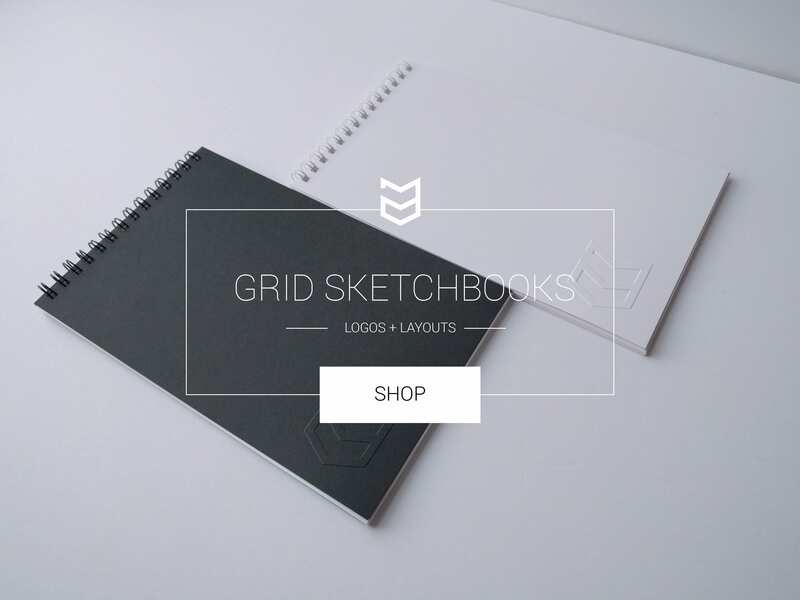 Now that you have finished scoring the folder, turn the folder over and fold the inner folds upwards towards the inside of the presentation folder. 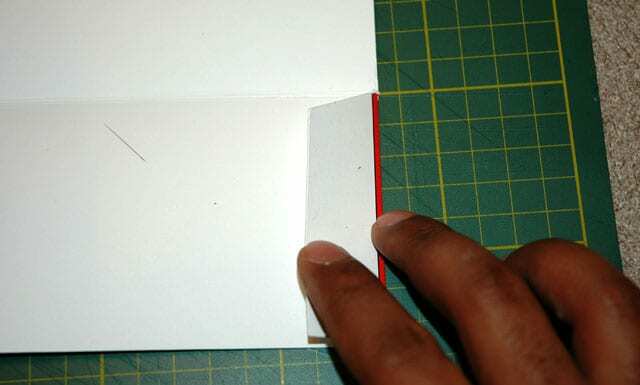 Continue to fold the glue flaps and the folder along the spine before you move on to the next step. *Optional* You can trim incisions on the right-side inner fold if you would like to include your business card in the presentation folder. Place your finalized business card in the position you like. 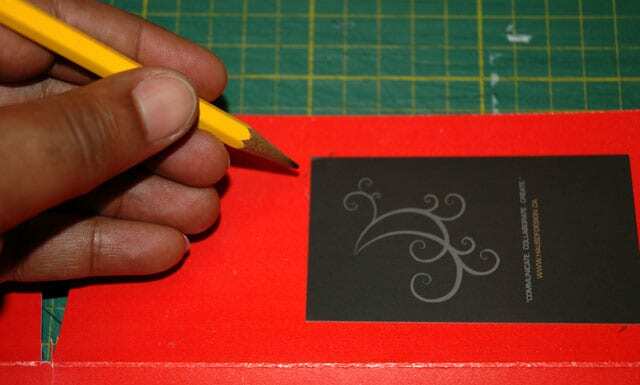 Draw two diagonal trim lines (lightly with a pencil) on the opposite corners of your business card. 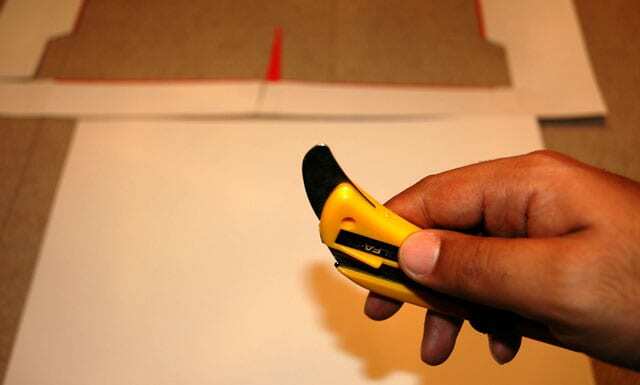 Use your knife to make the slits for the business card to fit into. Step 5: Finalizing the presentation folder. 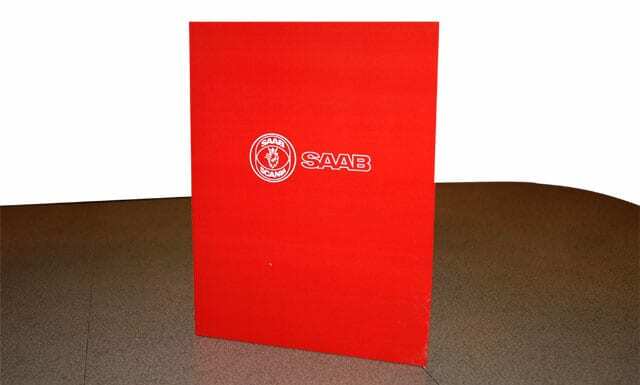 Finally, you will apply adhesive to the glue flaps on either side and bond the flaps to the inside of the folder on either end. 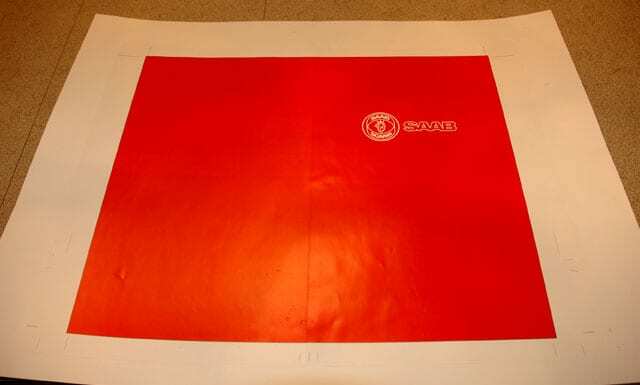 Wait for the adhesive to dry a bit before bonding the inner fold to the inside of the folder. 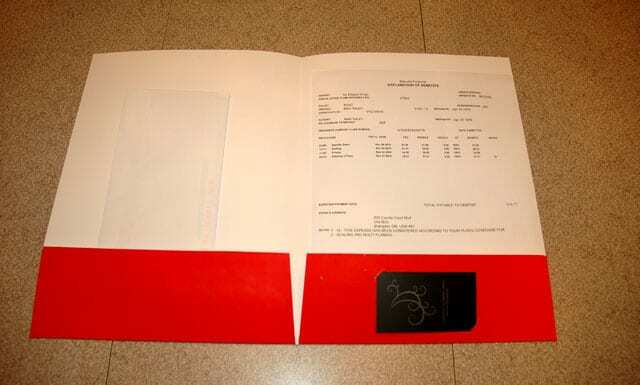 You can place a heavy object, like a textbook on top of the folder so that it bonds securely. 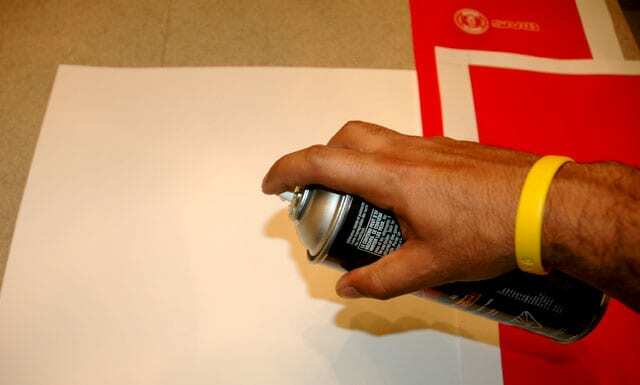 Let the adhesive bond to the glue flaps for about 5 minutes until you remove pressure from the folder. Once you have let the adhesive settle, clean up any loose ends and place a copy of your stationery material inside of the folder. Take a look at some final images below.